The purpose of a casino bonus is not just to lure punters to play at a certain site but to give players a more encompassing online casino experience, with the chance to play more games for less out of pocket expenses. By giving punters the chance to fully experience all the online casino has to offer, operators form better long term relationships with players and build customer loyalty, in turn increasing chances for loyal players to scoop up a much deserved win. We’ve heard stories about new players signing up with a new casino just to take advantage of a welcome bonus, only to win a multimillion dollar jackpot within the first week of playing at that site. If that sounds too good to be true, don’t just take our word for it, have a look at our list of some of the biggest online casino wins in recent history. While not all of these are the direct result of playing using a bonus, it definitely proves that Internet gambling offers the possibility for some truly life altering wins. Check out the biggest bonus offers at the best online casinos here. In April 2015, a Swedish player by the name of Monica decided to indulge in a few spins on the popular progressive jackpot slot game Arabian Nights at Guts.com before heading off to bed for the evening. It wasn’t until a Guts representative called her at 4AM that Monica even realised she had won. The rep told her to take a seat before announcing the incredible news that she was now €2,633,052 (approximately AUD$3.6 million) richer. Monica had been a loyal player at Guts for years and had no doubt taken advantage of many of the incredible bonus offers along the way. Robin Reed, the Managing Director at Guts.com stated, “We are so happy for Monica, who has been playing at Guts since the start and we look forward to making more millionaires in the future.” This mind blowing jackpot marks the biggest win ever taken at Guts Casino. The huge Mega Fortune win mentioned above didn’t hold its place in the world records for long, when in October 2015 a young man from the UK named Jon Heywood struck an epic progressive jackpot of AUD $30.8 million (€17,879,645). 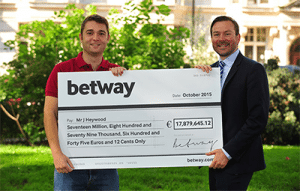 Like most other life changing wins, Heywood struck it lucky on Microgaming’s famed Mega Moolah pokies game. The win sent him straight to the Guinness Book of World Records for the largest jackpot payout in an online slot machine. 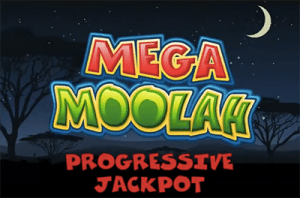 Microgaming’s most popular progressive jackpot slot game, Mega Moolah, is no stranger to producing life changing winners and in April 2015 the game was responsible for the biggest ever mobile win in history. A Canadian player known only as Mark A was playing Mega Moolah at Royal Vegas Casino on his smartphone when he triggered the epic jackpot of CA$7,561,773, adding to Royal Vegas’ list of huge Mega Moolah jackpot winners over the years. Mega Moolah has produced some of the biggest online casino winners ever with ground breaking progressive jackpots and if the previous pattern of winning streaks is anything to go by, there’s plenty more where that came from. In April 2015, one lucky Australian punter triggered a win of $94,400 while playing at Thrill Casino, and while this win isn’t as massive as some of the million dollar jackpots we’ve mentioned, it stands out because it wasn’t on a progressive jackpot game like most other monumental wins. 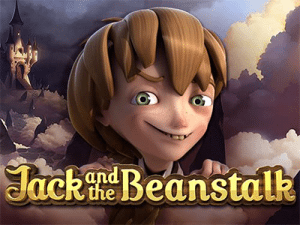 This Aussie victory was claimed on Jack and the Beanstalk by Net Entertainment thanks to a $200 wager, which means the player claimed more than 400 times their original bet. One of the awesome things about playing at Thrills.com is that when signed into your account, there’s a leadership board updated in real time in the lobby, so you can see just how much is being won around the world as you play. Unfortunately, Thrills no longer accepts players from Australia. While these record wins are certainly enticing, they provide only a small taste of the kind of wins that are possible when gambling online. Taking advantage of casino bonuses increases your chance of joining these winners in the history books as bonuses boost your bankroll, meaning you can place more real money bets for less risk to your own wallet. Bonuses also give you the opportunity to play a bigger variety of games, so you can get a feel for making real money wagers so you feel completely comfortable when it comes to depositing your own money. Sign up for an account with Guts online casino to claim a welcome bonus of $500 with 100 free spins on Starburst and see if you can join these lucky players in the record books.